After three weeks of exploring Peru and Bolivia we are back home! What an amazing trip this was! 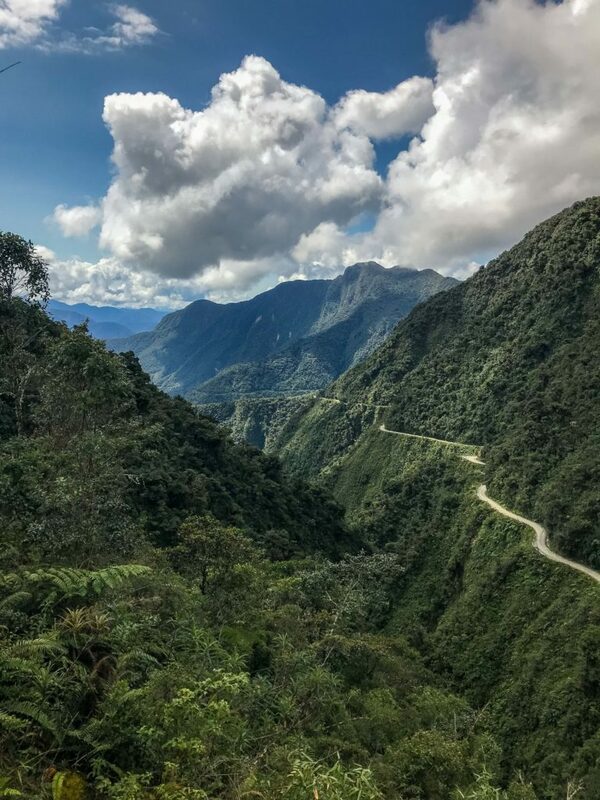 From being taken by the incredible site of UNESCO’s new wonder of the world Machu Picchu to biking the dangerous Death Road and hiking up to 5377 meters above the sea level on Chacaltaya! 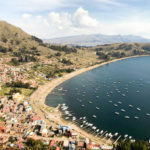 Discovering amazing capitals Lima and La Paz, visiting the floating islands Uros on Lake Titicaca, lovely lakeside Copacabana, seeing salt production in Maras and Uyuni, exploring breathtaking Reserva Natural de Fauna Andina Eduardo Avaroa, felling in love with Cusco and I could go on! 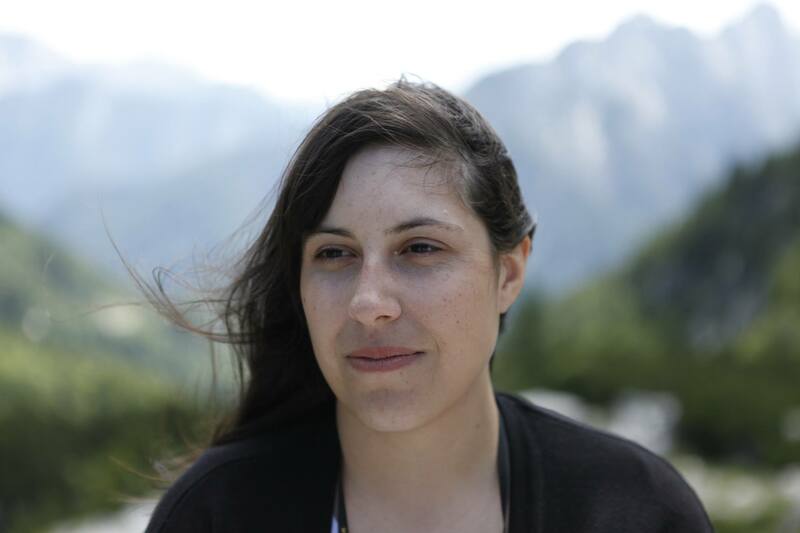 It was not an easy trip – most time we were 3400 meters or more above sea level, travelling long distances on night buses, I got salmonella, my phone was stolen in La Paz but I got it back by the nicest caserita. Still, it was one of the most amazing trips ever! But before sharing all the amazing travel stories with you, I am sharing all the stops we made along the way! Lima is city full of contrasts. 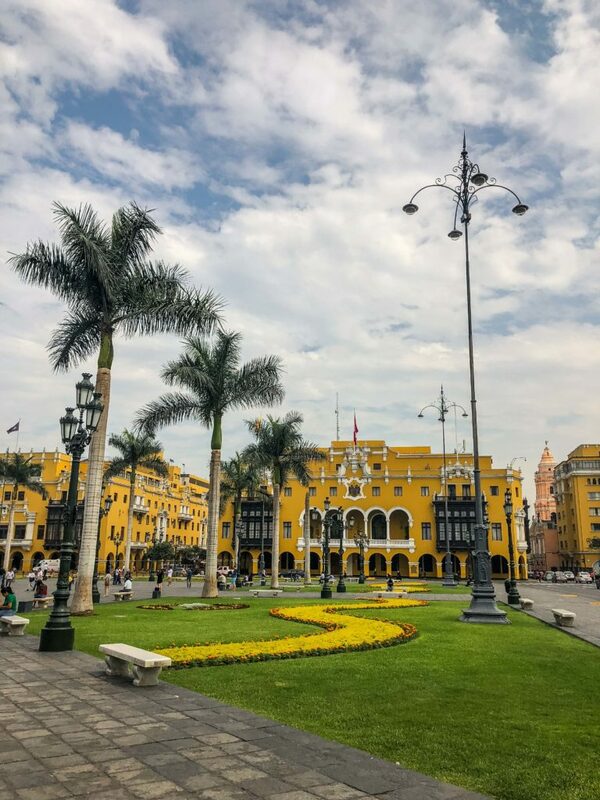 From rich seaside Miraflores to beautiful colonial city centre around Plaza de Armas, artsy Barranco and poor surrounding areas with half built houses. Still, all parts of the city are worth exploring. Lima is also the culinary capital of South America, which means it’s the best place for trying ceviche and other amazing Peruvian food. Check my day of eating delicious food in Miraflores. 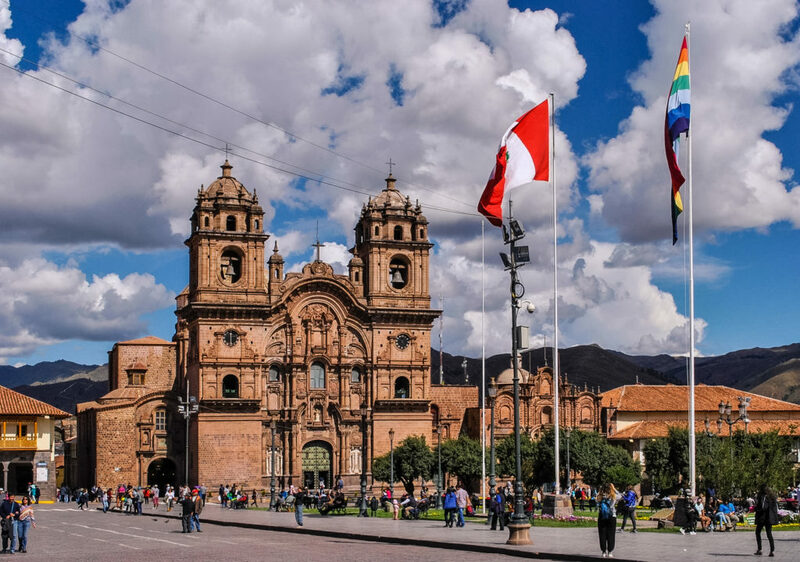 Cusco is a perfect place to start getting use to being on 3400+ meters above sea level, with coca tea in your hand, strolling the cutest narrow streets around the main square Plaza de Armas. A must see is the archaeological site of Sacsayhuamán, which is located on the hill above the city and offers amazing views of the whole area. In the city the best sites we visited were Mercado de San Pedro, which is the perfect place for buying some souvenirs, and Coricancha, the remains of Inca’s temple of the Sun. 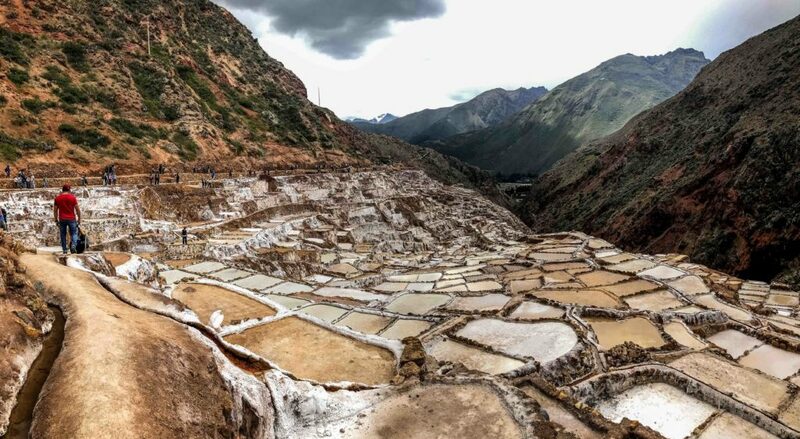 In this perfect half day trip from Cusco we visited Inca’s agricultural terraces of Moray and one of three salt mines in Latin America Maras. We also stopped at the local fabric factory. 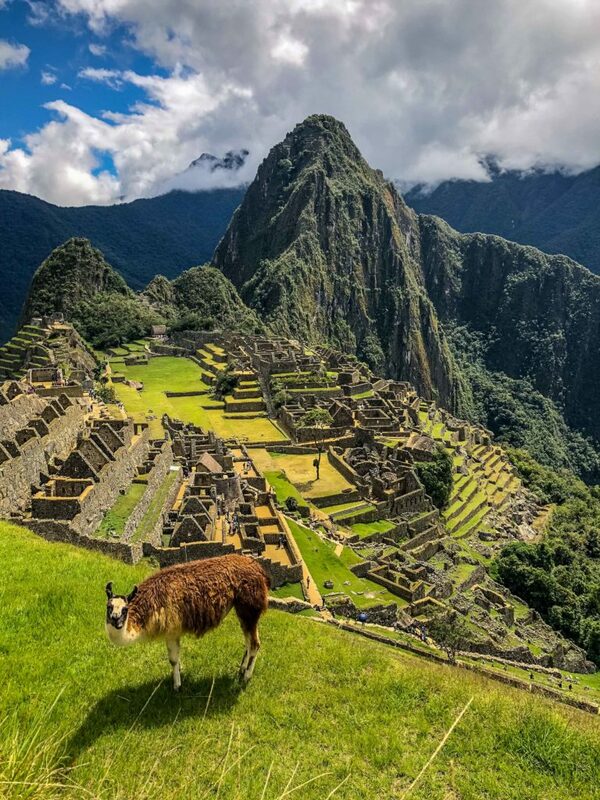 The incredible Machu Picchu is truly a site you have to visit once in a lifetime! We did a day trip from Cusco and loved the whole experience: taking a train along the Sacred Valley with amazing views of the surrounding nature, having a great guide around Machu Picchu, hiking to the Incas Bridge and discovering lovely village of Aguas Calientes. Read all about our experience and the best tips for first time visitors at blog post As good as it gets: visiting Machu Picchu. 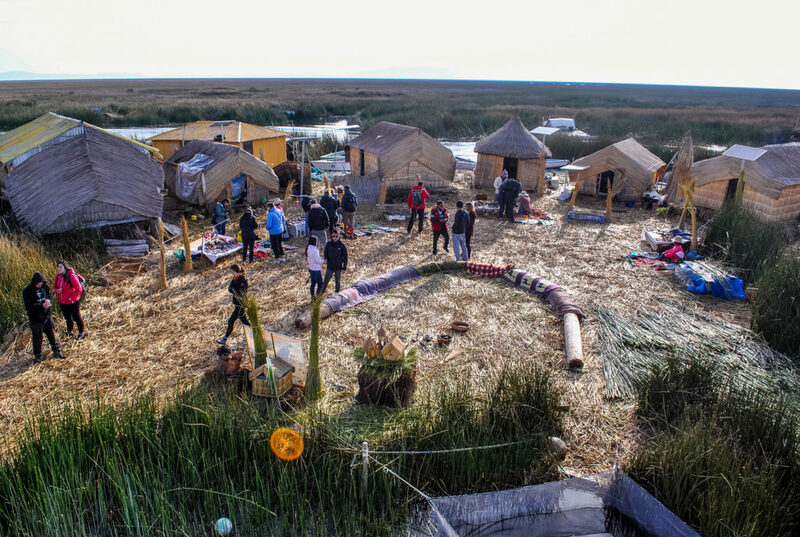 Peru’s side of Lake Titicaca – the highest navigable lake in the world and the largest lake in South America – is also home to the Uros people. They live on more than 40 floating islands made from reed, which they have to rebuilt every three weeks. Puno city is the starting point for visiting the islands. 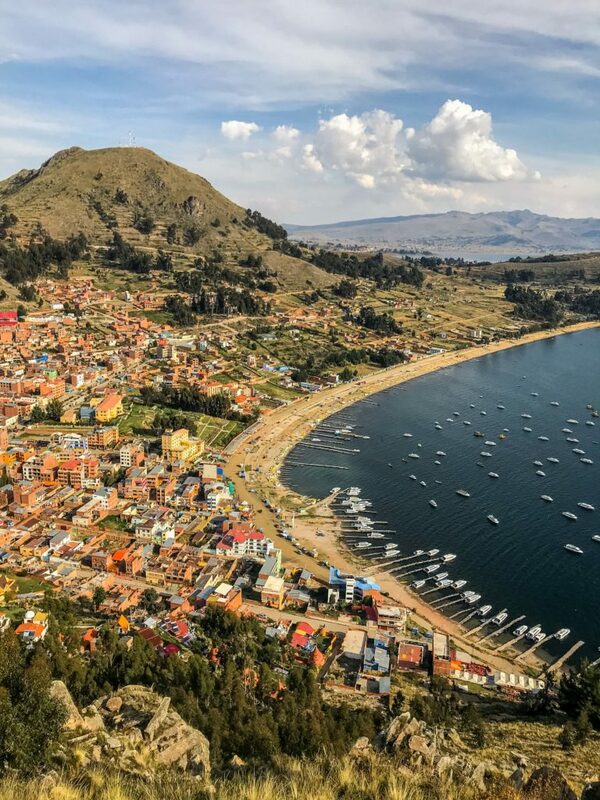 This lovely lakeside town is usually a starting point for visiting Bolivian islands on Lake Titicaca. However, we had only few hours in Copacabana so decided to enjoy a meal in one of many nice restaurants, walk around the town centre and climb up to the amazing viewpoint Cerro Calvario. 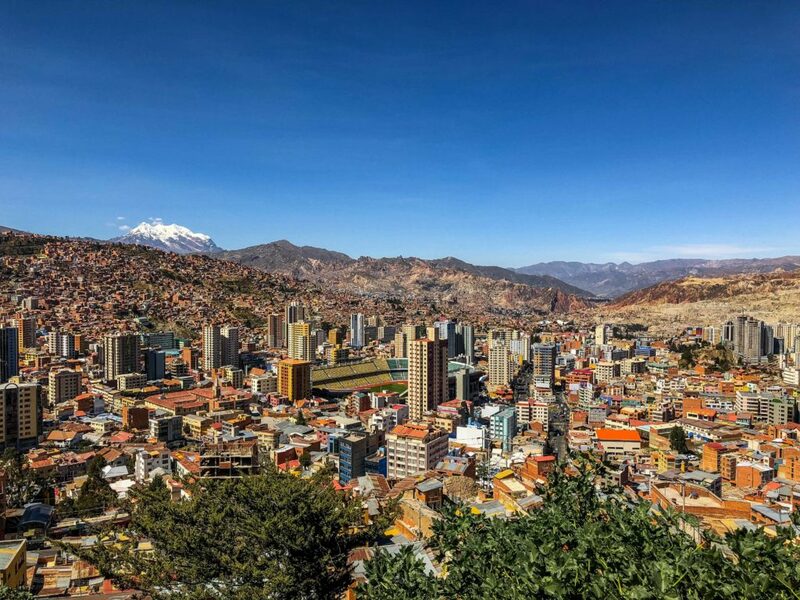 Exploring La Paz is such an adventure! Narrow and steep streets going up and down, Cholitas selling everything from food to electronics on the stalls, the traffic is crazy, their public transport are cable cars and colectiovs, the city truly is alive and caotic! It is equally amazing walking around the city and having interesting views on it from the cable cars Mi Teleférico. This day trip took us to the top of the world and then all the way to the Moon. 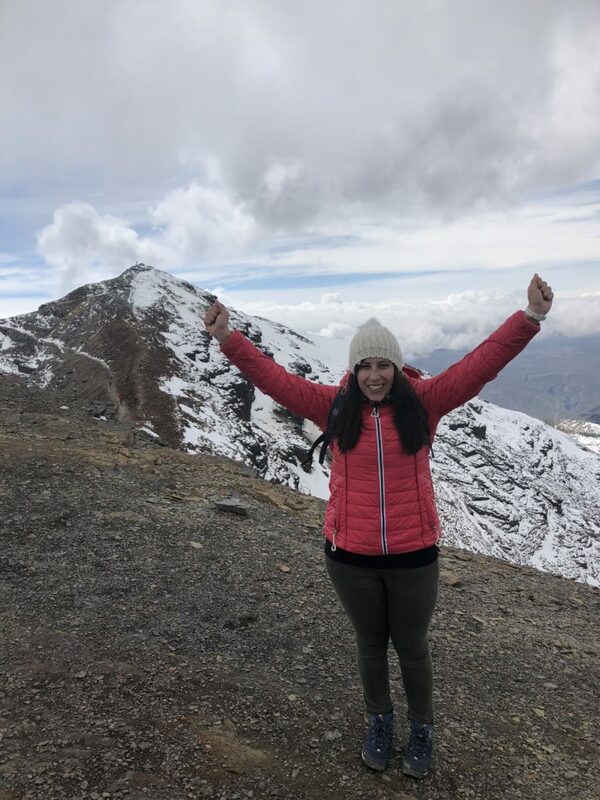 Firstly, we drove from La Paz through El Alto and Altiplano to the Chacaltaya mountain, where we did a hike up to 5377 meter above sea level! What an experience, I have never been on such altitude before! Chacaltaya used to be the highest ski resort on the world. Due to the global warming now doesn’t have enough snow and it stopped operating in 2002. Then we drove back to La Paz and visited another interesting site – Valle de la Luna, which translates to the Moon Valley. It’s said it was named by Neil Armstrong because it reminded him of the Moon landscape. The rock formations there are really something and you can also find many cactuses. This was probably the most adventurous thing I did in my life! 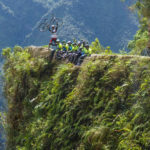 The Death Road, also known as the North Yungas Road, biking tour starts at 4700 meters above sea level and ends on 1200 meters in the jungle. Firstly, you bike on asphalted road, then on the macadam road, full of deadly cliffs and blind turns. Simply amazing! You can find all the details here. 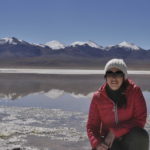 We did a three days trip to explore amazing landscape of the biggest salt flats in the world Salar de Uyuni and surrounding Reserva Nacional de Fauna Andina Eduardo Avaroa. 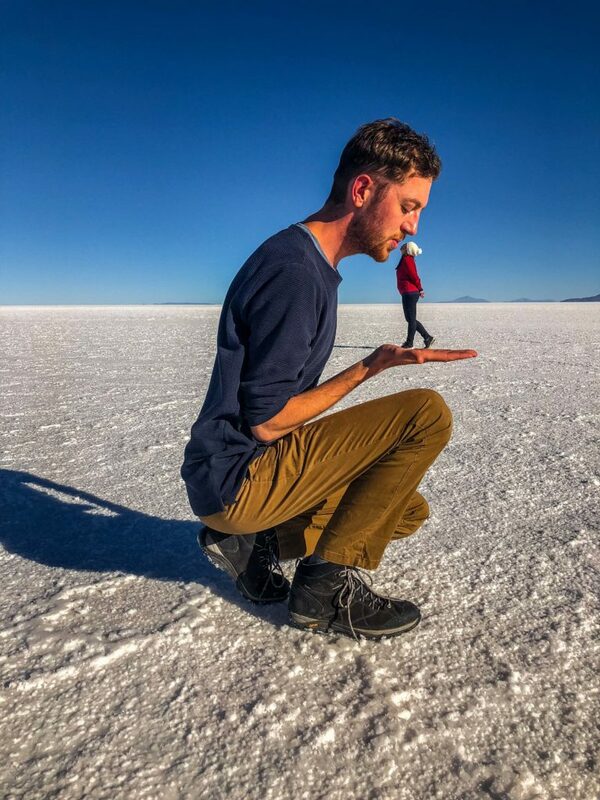 We spend most of the time on 4400 above sea level and saw lagunas, the Andean mountains, volcanoes, flamingos, llamas, cactuses and of course did some funny pictures in Salar de Uyuni. You can find out all the details in Visting Uyuni & Reserva Nacional de Fauna Andina Eduardo Avaroa – part 1 & part 2 blog posts. How did we travel around? Our starting and ending point of the trip was Lima. 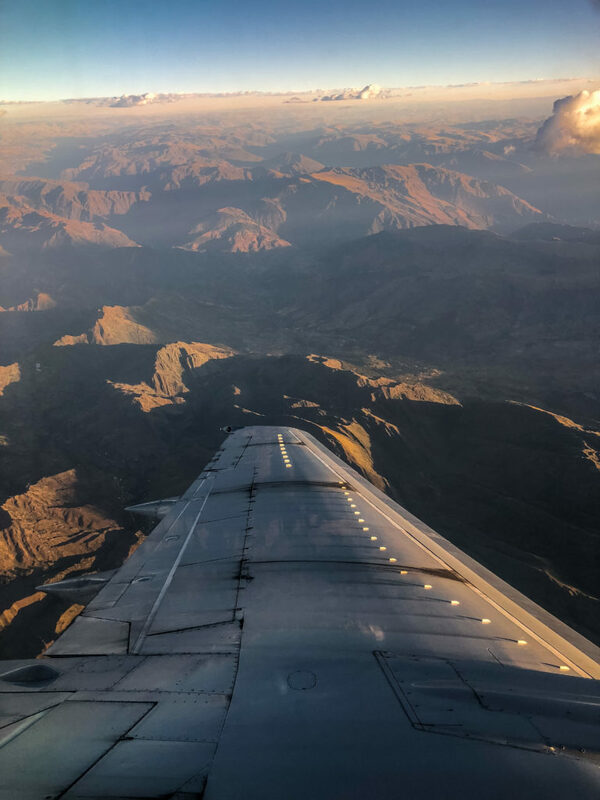 Then we had a return ticket for a domestic flight from Lima to Cusco, went from Cusco to La Paz with Bolivia Hop (which makes really convenient stops at Puno and Copacabana), travelled around Bolivia with local night buses and also returned to Cusco with a night bus. 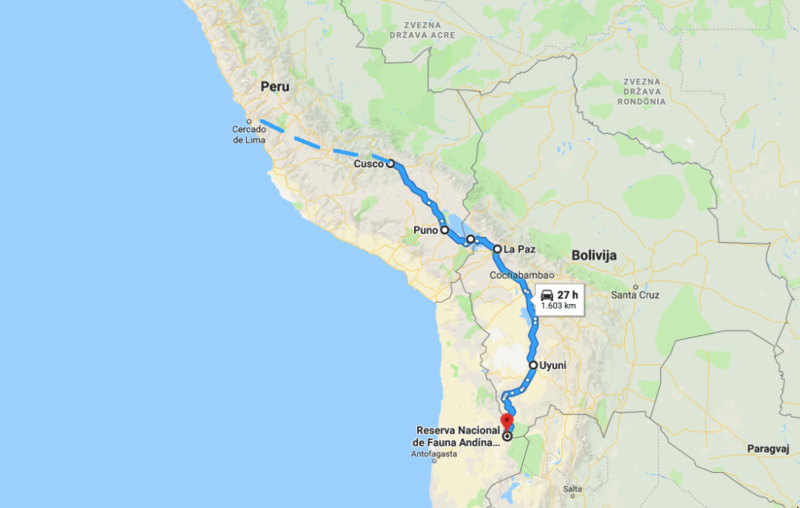 Local buses are really cheap – for example, 8 hours long night bus from La Paz to Uyuni costs around 25€ – and if you’re lucky, you can get really nice prices on plane tickets within the countries. What more did we plan to see? I agree with you. Places you mentioned in your new blog are really top destinations to visit in everybodys lifetime. Since beeing there 13 years ago, many things changed. I am looking forward to read detail descriptions of each place with photos. Keep traveling!